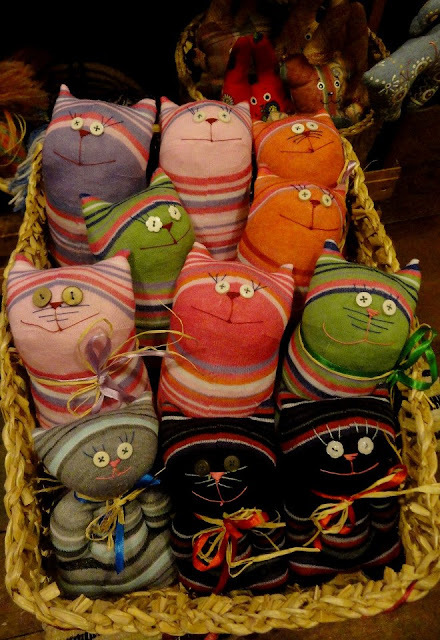 If you are a cat person, like I am, and you are happened to travel to the western part of Ukraine (where I am originally from, by the way), you will be impressed how many cat-themed arts and crafts you can find at local markets and craft stores. It’s all mostly contemporary art and craft, with traditional touch, locally made (not imported!) and… Oh so cute!! Actually, this one I bought at another big West Ukrainian craft market – at the city of Yaremche, Ivano-Frankivsk oblast, located in Carpathian Mountains. But the picture is done by an artist from Lviv. Beautiful work! They are made and sold in Ternopil, by local crafters from Koza-Dereza. Cannot stop looking at those pillows-cats - incredible cuteness! And here is more useful info for you about buying arts and crafts in western Ukraine. Happy travel and happy shopping!